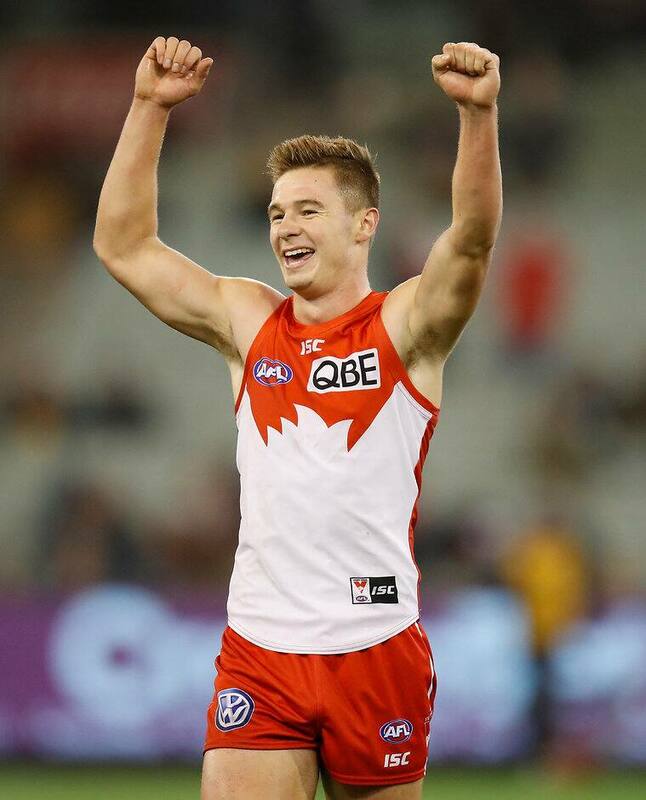 RISING Star nominee Ben Ronke has recommitted to Sydney, signing a two-year contract extension to stay with the Swans until at least the end of 2020. An unheralded rookie, Ronke put his name up in lights on the Friday night stage in round eight when he bagged seven goals and laid 10 tackles at the MCG to sink Hawthorn in just his third career game. The zippy small forward replaced superstar Lance Franklin two weeks earlier, snaring two majors with seven tackles on debut in a comeback triumph in Geelong. He has since played every game and looms as another rookie success story for the Swans. Ronke, 20, spent the first half of last season battling broken ribs but the Calder Cannons product has seized his opportunity in 2018 as a pressure forward who is dangerous around goals. "It’s an honour to be able to sign on," Ronke said. "Ever since I've been at this club I’ve just wanted to stay. I’ve felt at home since I got here. The playing group make you feel like it’s where you want to be and I’m absolutely thrilled. "It's a place where you all come and everyone's on the same playing field and you've got to earn your own respect. "Whether you're the first draft pick or the last it doesn’t really matter. "I’ve loved trying to win as much respect as I can and trying to work hard and it’s great to get recognised with a contract extension."